Lanes Olbas family of product. Noses. They have a hard life. They get bunged up with winter colds and attacked by summer hayfever. Noses large and small suffer congestion and blocked sinuses, sneezes and snuffles and get rubbed raw by hankies. And when your nose is miserable, it’s no fun for the rest of you. Luckily, the Olbas family is on hand to help. These days there’s a range of Olbas products to help everyone find immediate relief, wherever and whenever they need it. Olbas is a special mixture of pure plant oils, with ingredients including clove oil, eucalyptus, juniper berry and cajuput. 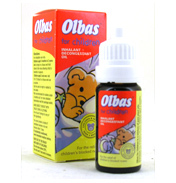 Keen sportsmen put a few drops of Olbas Oil on a team shirt or wrist band before a match to keep a clear head. Take comfort in a soothing Olbas Bath. Let those aching muscles relax as you unwind and let your cares wash away. Some users put drops of Olbas Oil on tea bags and place them in flower beds to keep cats away.